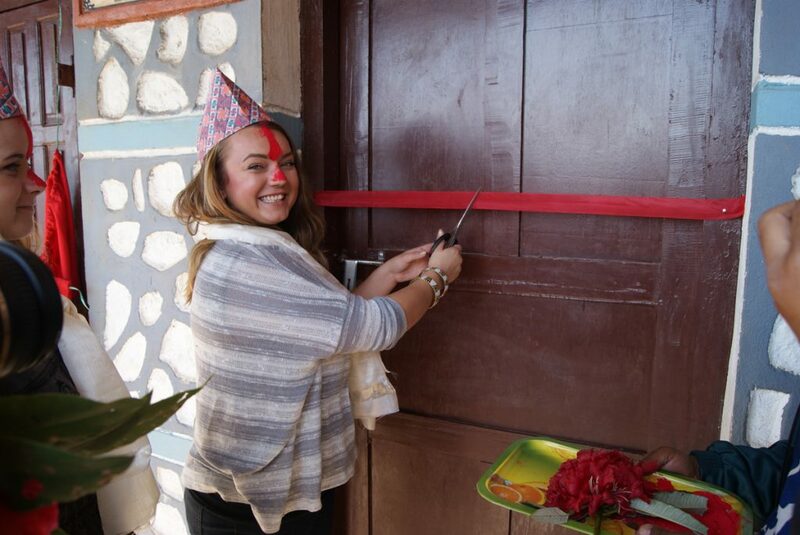 Nepal | Raven Hydronic Supply Ltd.
Raven Supply is proud to announce our 2014 fundraising initiative has been implemented! 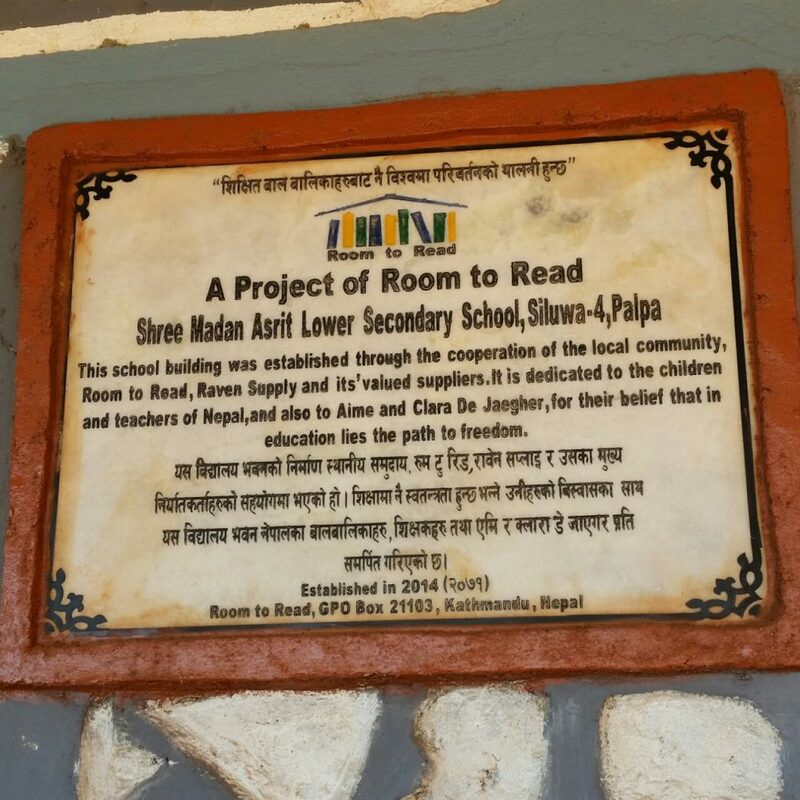 Our 2014 project was creating a literate school community. This included filling a library with books, puzzles, and other educational materials. Also providing instruction to grade 1 teachers, as well as Library training. 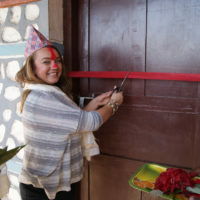 We also fundraised with our contractors to fill an additional library in Nepal! Raven Supply was very excited to meet with Annie Place of Room to Read this month! She works on West Coast initiatives and recently joined the Room to Read team. She was in town to meet with a few donors in the Vancouver Area. 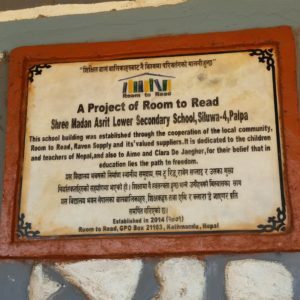 Thanks to all Ravens Vendors and Customers that have participated in our fundraising initiatives since 2013 in Nepal and India for putting us on the Room to Read map! Annie will be keeping us connected with Room to Read and providing us with our 2016 Room to Read initiative options! 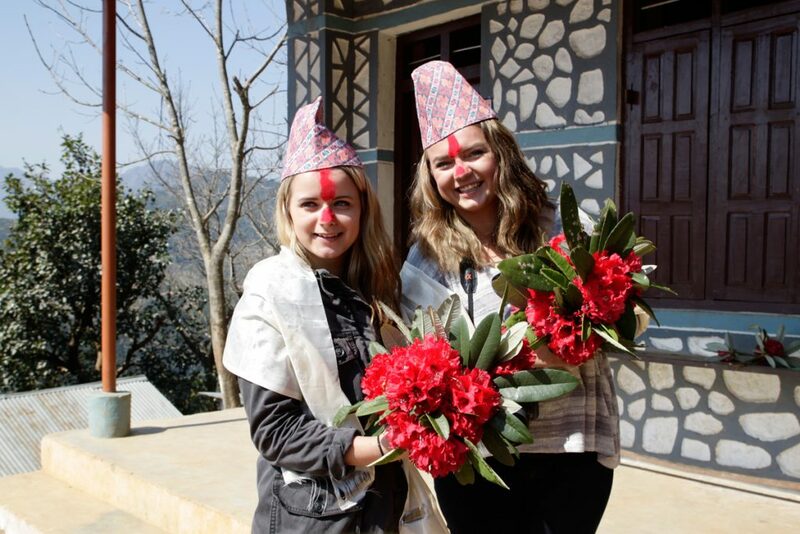 Raven Supply sent my sister Gabrielle and me to Palpa, Nepal to go and see our 2013 Room to Read project. The trip was truly a one-of-a-kind experience. It began rather exciting with dance-off with the locals, natural rock climbing up to a tower & a beautiful sunset view before they took us back to our hotel for the evening. The next morning we all loaded into the jeep and headed 2.5-3hrs further up the mountain, on a very interesting road that barely fit one car, we learned very quickly the horn is the most important part on a car on that side of the world. When we got to the school we were greeted by the schools’ principal, vice principal and in-country director as well as the entire school. They then gave us flowers & a powder on our foreheads and we went to cut the ribbon to the library and classroom that were constructed. It was such an amazing experience. 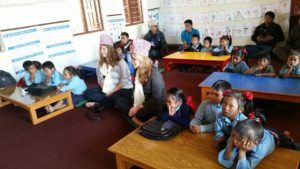 We then sat in on a grade 1 class for about one hour & watched the students and teacher interact (no English was used in this school); from what we could tell the class was being instructed just as a class would be back in Canada. The teaching styles, getting students to sound out words, practicing and encouraging the students. Also, the look on their faces when they were getting rewarded in front of these strange guests was adorable! After sitting in the grade one class we went to the library with the grade 5 class. They read together for a bit, then the race was on over to the new bookshelves to pick out a book that they would be taking home for the remainder of the week. 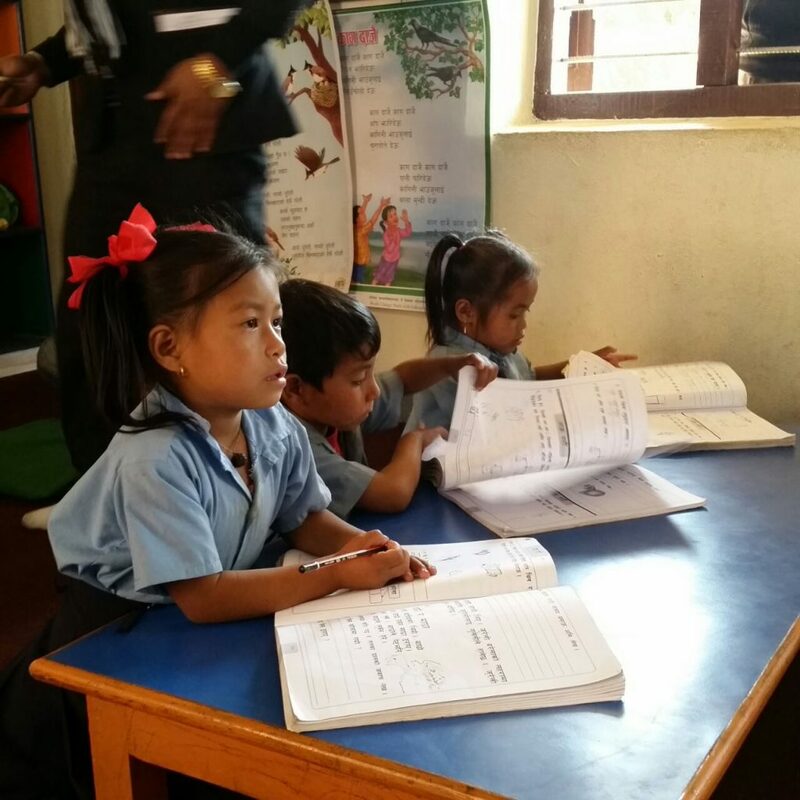 We were shown the book checkout system and the library schedule and were told by the teacher that they were so happy with the library because it has put their school on a higher level than even some schools in Kathmandu with the number of resources they have now. They then got one of the students to read aloud while Gabrielle and I repeated what we thought we heard, getting a lot of laughs in between. They then asked me to do the same, I do admit they were much better at this than we were. The experience Raven and Room to Read gave my sister and I was one that we will remember for the rest of our lives. It has also reassured me that what we are doing is making a huge impact on these communities, giving these children access to education and the chance for a better future. 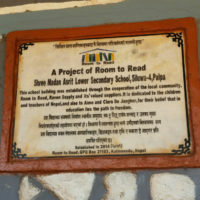 We’re excited to share with you the second progress report of Shree Madan Asrit Lower Secondary School. This report includes photos of the excavation of the trench for the foundation, the foundation in place and construction of the ground floor.